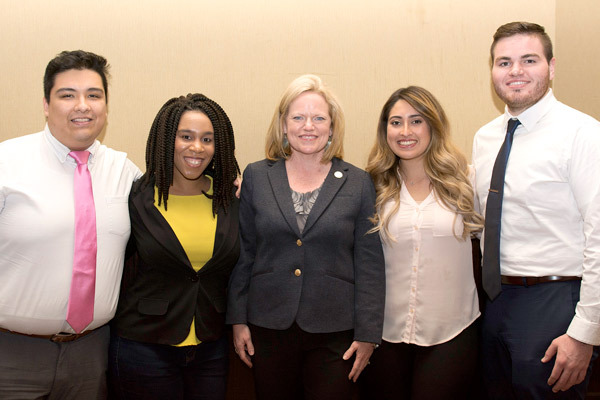 Every year since 2002, the conference of the National Institute for the Study of Transfer Students (NISTS) allows attendees the opportunity to meet up, share information and exchange ideas. 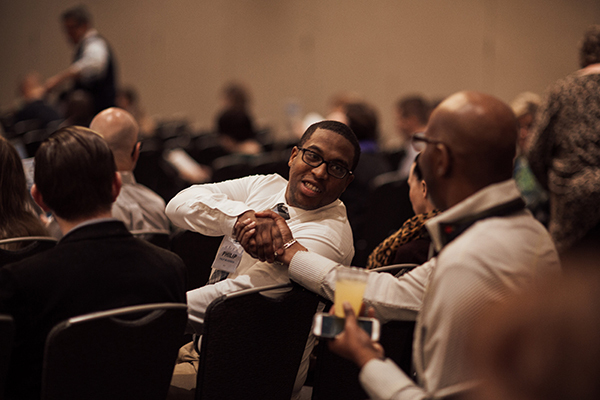 The National Institute for the Study of Transfer Students (NISTS) will host its 15th annual conference Feb. 15-17 in Atlanta to discuss initiatives centered on collegiate transfer students. Founded in 2002 by University of North Georgia (UNG) President Bonita C. Jacobs in response to a lack of professional development opportunities and research literature focused specifically on transfer students, NISTS's annual conference has grown to include more than 500 attendees from more than 200 institutions representing 38 states and two provinces in Canada. "Transferring between institutions as a pathway to degree completion is becoming a significant part of the national conversation on college affordability, accountability and access," said Dr. Janet Marling, executive director of NISTS and vice president for student affairs and enrollment management at UNG. "The conference equips professionals, through the information shared and the dialogues it generates, to successfully implement transfer initiatives on campuses nationwide." The keynote speaker is founder and executive director of the College Excellence Program at the Aspen Institute, Joshua Wyner. He will open the conference with an address on "Adapting in a Changing Higher Education Landscape." This year, NISTS will present the Bonita C. Jacobs Transfer Champion Award to Charlene Stinard, former director of Transfer Services at the University of Central Florida (UCF). The award is given to spotlight those who have demonstrated exceptional advocacy and leadership in the development and implementation of transfer-focused activities, making a significant contribution to the improvement of transfer student access, persistence and success. Stinard has served transfer students for more than 28 years. Prior to retiring from her role at UCF, she created a nationally recognized peer mentor program and the university's first Transfer Experience Committee to promote campus-wide collaboration in support of transfer students, building a lasting culture of transfer-student support. Her programming initiatives were focused on the retention, success and graduation of transfer students at a campus that enrolled more than 13,000 transfer students annually. Dr. Carmen Robinson, assistant dean of student services for the College of Arts, Letters and Sciences at the University of Arkansas at Little Rock. Rajan Shore is the transfer program coordinator at Blue Ridge Community College in Weyers Cave, Virginia. 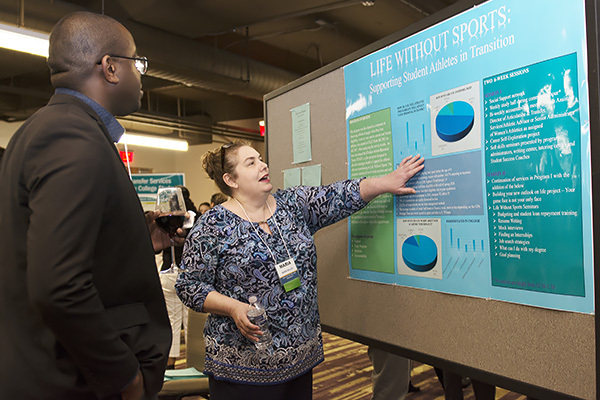 Through research, education and service, NISTS supports professionals who directly serve transfer students, as well as those who create transfer policy and conduct transfer-related research. The institute bridges knowledge, policies and practice by bringing together a wide range of stakeholders to explore the issues related to the transfer process in order to facilitate student success and degree completion. NISTS partners with two- and four-year institutions, state agencies, higher education associations, foundations, and others committed to transfer student success. Since NISTS first began hosting the conference 15 years ago, the organization has fostered the national conversation about transfer students by offering grants to support transfer-related research, recognizing outstanding transfer professionals and hosting the only national conference exclusively focused on transfer. For more information on the NISTS Annual Conference or to register to attend, visit the NISTS site.